Now we have also finished the decal artwork. The Magister is rather smallish machine, but the decal sheet doesn’t seem to confirm that concept. Why is that? Each of the three chosen machines has its own particular set of stencils in the appropriate language mutation. 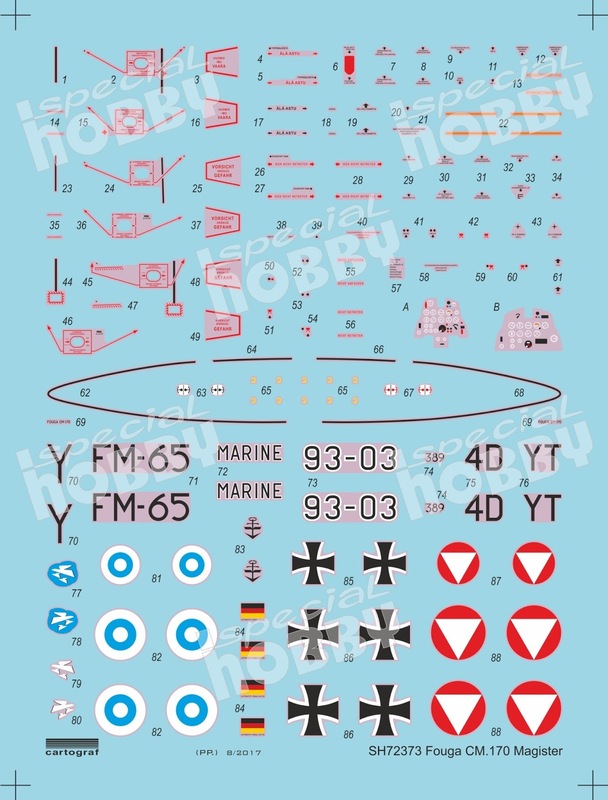 Even the stencils of the Austrian Fouga were different from the German ones. Unfortunately, we won’t be able to get the decals printed until the end of August because of the summer holidays of our Italian colleagues.